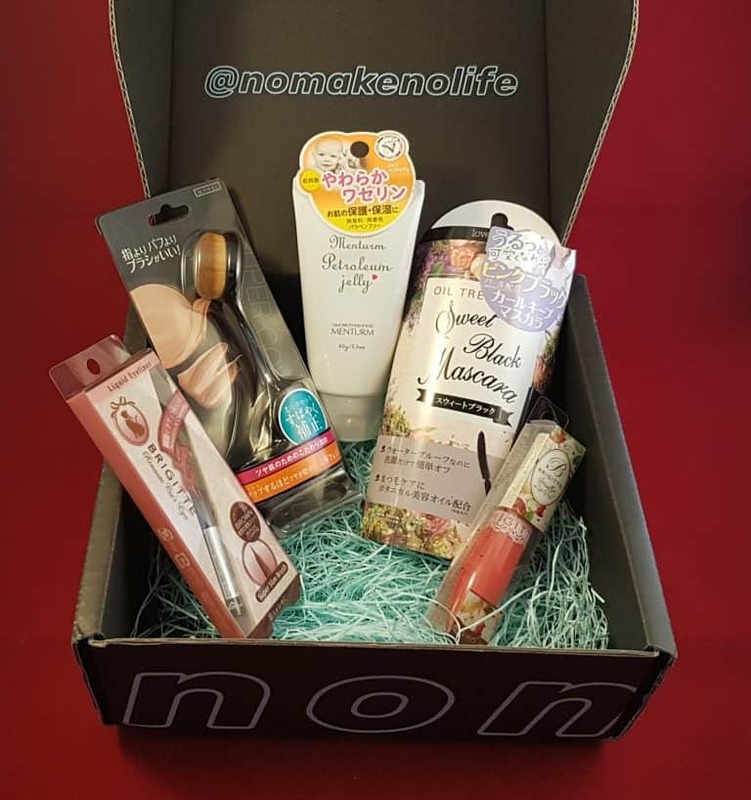 nomakenolife is a monthly subscription box of Japanese cosmetics and beauty products. Japanese women take their skincare very seriously, and their beauty products are superb quality. They are also very big on products which contain natural ingredients, including collagen, and avoiding harsh chemicals. Here are the basics:They have one-, three-, six-, and 12-month subscriptions costing $29.99, $29.00, $28.33, and $27.50 per month respectively. At current exchange rates this is £23.27, £23.50, £21.98, and £21.34. 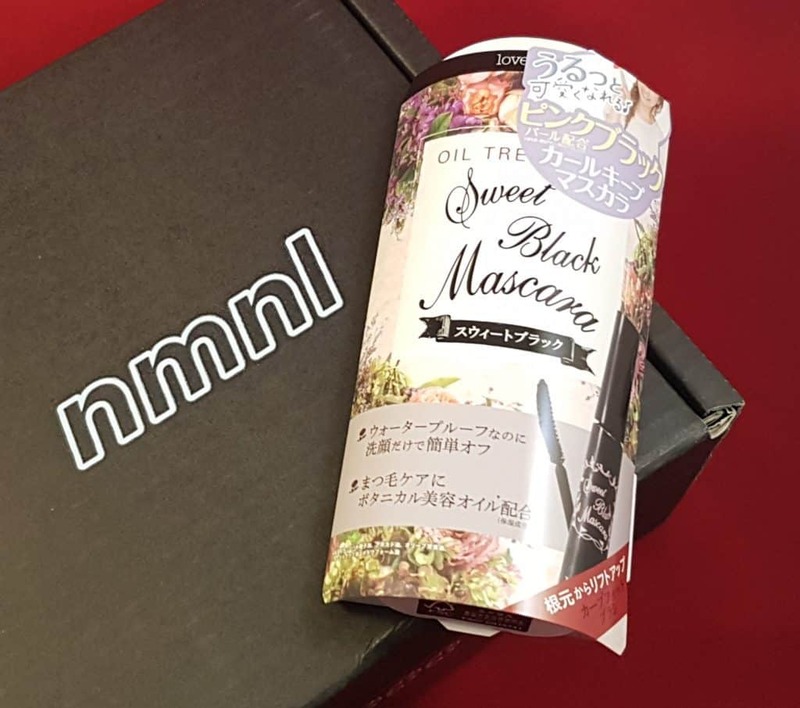 Shipping is free.nmnl is part of the TokyoTreat group, who also produce TokyoTreat, a lovely box of Japanese snacks, and YumeTwins, an equally lovely box of kawaii Japanese goodies.nomakenolife is a relatively new addition to their stable of subscription boxes. 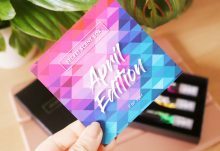 This month’s theme is Beauty Must-Haves. 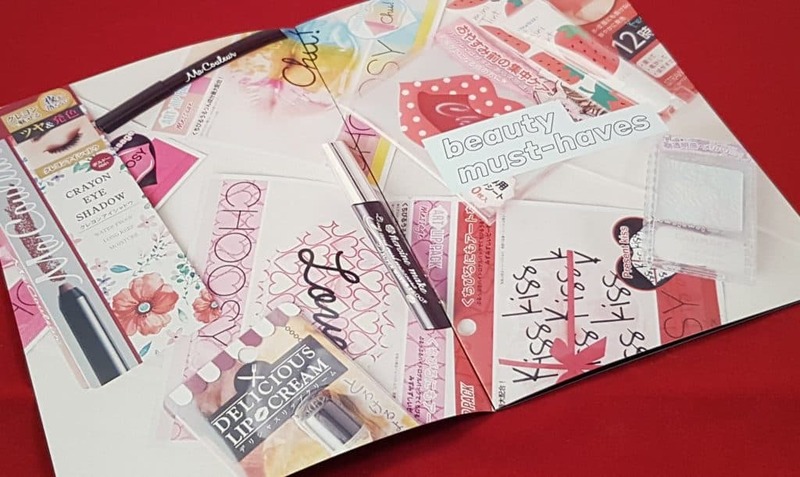 I think everyone has their own idea of their essential beauty products, so it will be interesting to see their take on it!Here is their shipping box. I love their branding; it’s simple but striking, and the box itself is nice and robust. The box is always packed very well. When it’s opened up I’m always amazed that the contents are well arranged, rather than the higgledy-piggledy chaos one would imagine from the long journey. On top you can see their magazine menu, plus tantalizing glimpses of goodies. Their menu is always very nicely produced. 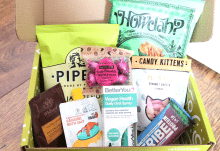 It always contains a complete list of the box contents, with useful details about each product. 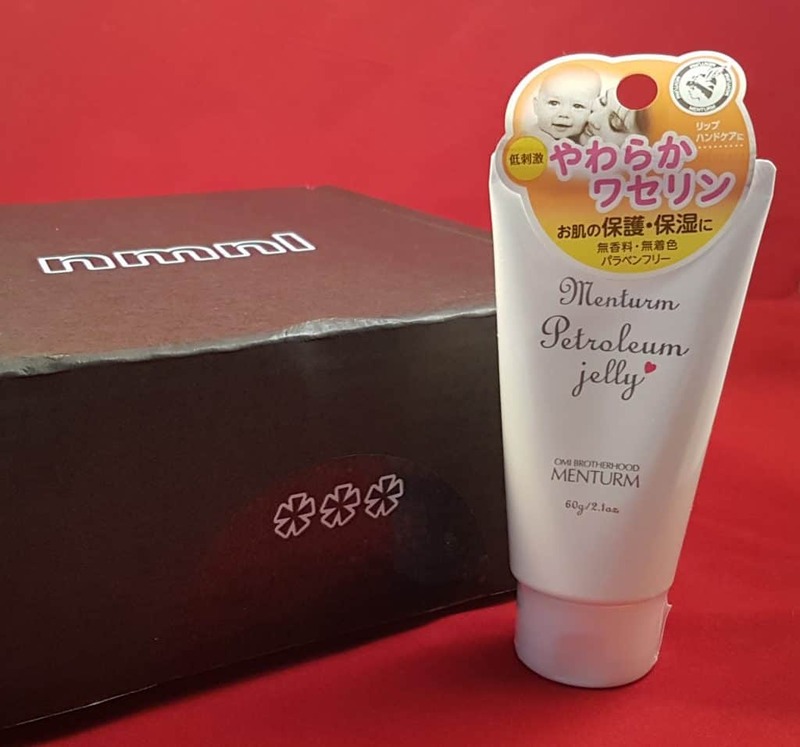 First out is the tube, which turns out to be Menturm Petroleum Jelly. It’s in a good-size tube, and according to the menu is completely free of fragrance, dyes, or parabens. Perfect for babies and anyone with sensitive skin. I have mixed feelings about this. Petroleum jelly can be very useful for very dry skin, especially in winter. The tube is great, so much more hygienic than the usual pots. But, it’s just not very exciting. Even though the brand and packaging is Japanese, it doesn’t feel like something exclusive and unusual. I could walk into any chemist and pick up some Vaseline/generic petroleum jelly. That being said, the tube packaging is great, and it’s unlikely to go off, so I’d be comfortable using it sporadically. This mascara is black (hurrah! ), and is actually lavender scented. Unusual but it smells very pleasant. It’s waterproof, which is also good news. The brush is one of those curved applicators, which I’m totally not used to. The bristles are also very densely packed, which again is unfamiliar to me. I’m fortunate to have rather long curved eyelashes; I never use one of those curlers because they look scary and I look like a doll after using one. This mascara goes on nicely, has a great smell, and while I had to use my trusty eyelash comb afterwards, I always have to use it regardless of mascara brand (you’d think I’d be better at putting on mascara). My eyelashes looked pleasingly fuller and longer, and despite the unfamiliar applicator was quite easy to use. Last month’s box had a beige-tinted lip balm that I wasn’t crazy about. However this month’s lip offering nails it. This Brigitte Smoothie Lip Tint is lighter than a lipstick or gloss, but has a lovely subtle pinkness which is summery and sweet. 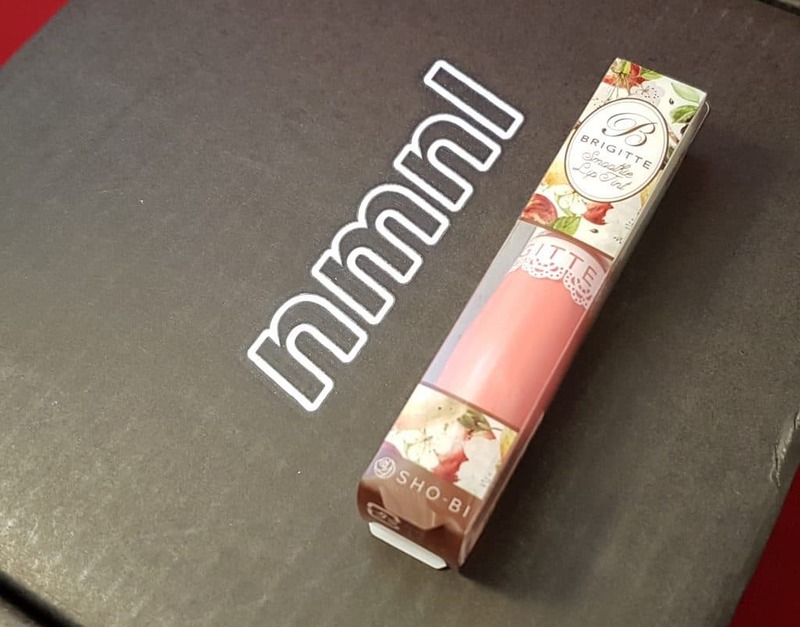 Lip tint can often be annoyingly sticky, but this one sits very nicely on the lips and I’m not worrying about stray strands of hair attaching themselves to my mouth! As a bonus, the packaging is really cute. 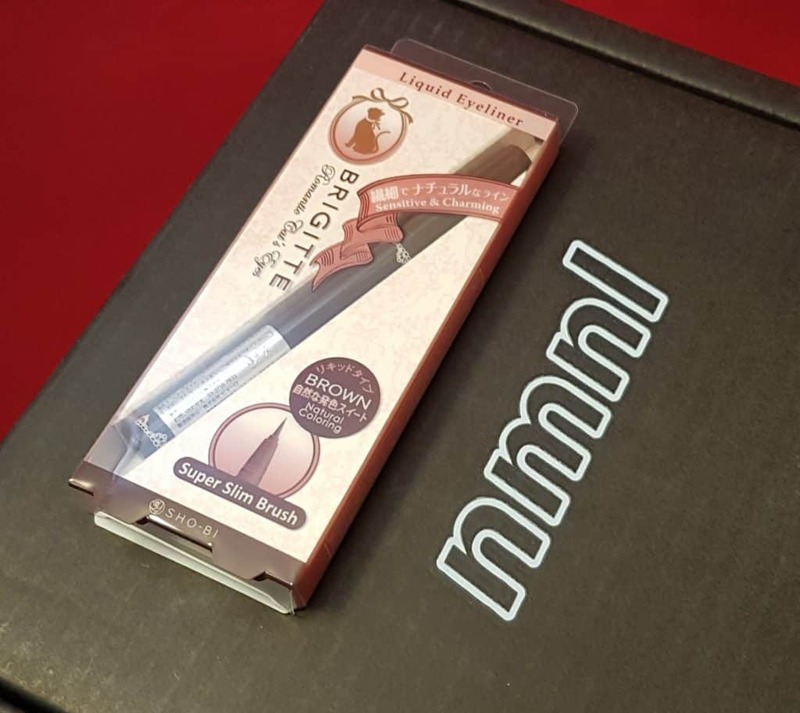 The third makeup item is Brigitte Lasting Eyeliner. This is a liquid eyeliner in a lovely rich brown, with a really excellent fine brush. The liquid itself is incredibly smudge-resistant, and gives a very natural look. My makeup routine is incredibly fast, and I actually use brown eyeshadow as a kind of smudgy eyeliner. But for those times when I want to spend more than two minutes doing my face, perhaps a more striking evening look, this is perfect. And finally, a makeup accessory, a Lucky Wink Super Cover Foundation Brush. Gosh, that’s a long name. 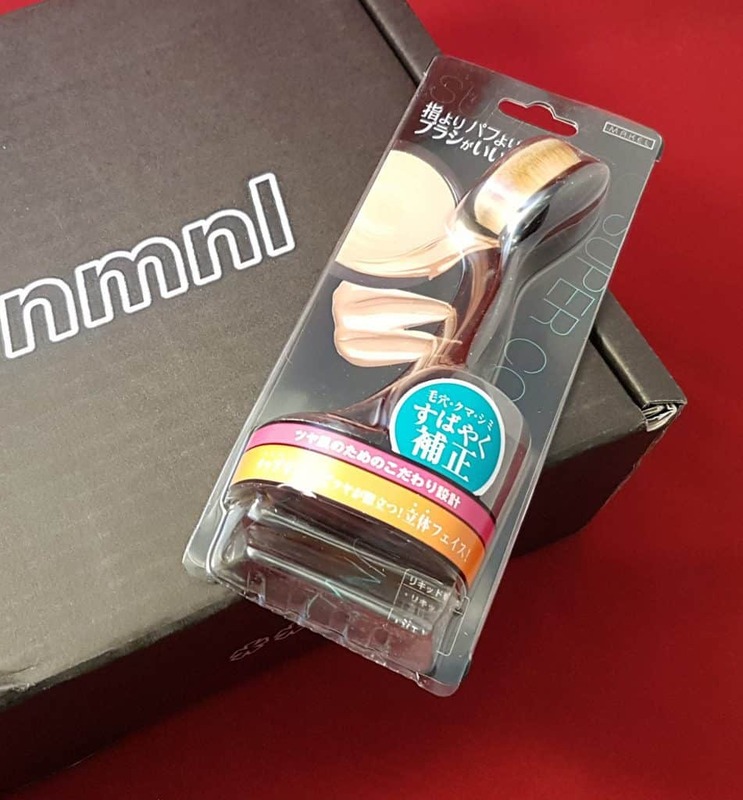 Apparently these oval-type brushes are all the rage in Japan at the moment, and this one is currently Japan’s #1 selling version. 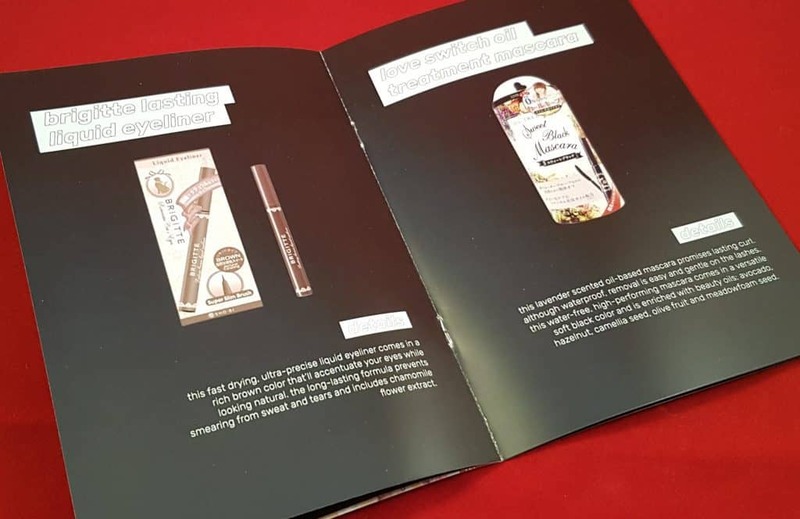 It can be used with liquid, cream, or gel foundation, and the menu contains instructions on how to actually use it. There are also videos you can find online. At this point I have to confess that I don’t use these kinds of foundations. I use one of those solid palettes that come with a sponge and are a kind of light foundation and powder combined. This is because it’s easy to use and I’m very lazy when it comes to makeup, and also because I don’t really like the ‘flawless madeup face’ look on me. I admire people who can do it, but it’s just not my thing, Also, I’ve had professional TV makeup done a bunch of times, and that is so magnificent that I could never hope to reproduce the look of natural perfection they achieve. However I’m sure this brush will find a happy home with one of my more glamorous friends. OK, so there’s the lot and here are my thoughts. I think that they have the ‘beauty must-haves’ theme covered pretty well. I suspect virtually anybody would get along with black mascara and brown eyeliner. The lip tint might be more subjective but it’s perfect for me so I’m happy. A foundation brush is a really useful tool, even if it’s not for me. Every makeup artist I’ve come across has used a brush for foundation (though I’ve not seen one of these oval ones before), and even though I know that those egglike sponges are everywhere at the moment I’ve always heard that brushes are the best thing to use. The fact that this one is massively popular in Japan is reassuring, as the Japanese are serious about their makeup. As for the petroleum jelly, I guess it’s the skincare element of the box, but I just can’t get excited about it. It’s useful and good quality and the tube is good, but as I said above, it doesn’t feel special, or indeed, particularly Japanese. As these are all Japanese brands it’s extremely difficult to find prices on these, so I’m not going to do an individual breakdown. I did find the mascara for a little over £13 on a Hong Kong beauty website that shipped to the UK, but you had to spend at least £28 to get free shipping. As this whole box costs just over £23 you can be pretty confident that the remaining four items would cost most than a tenner. Just a sec, I found the petroleum jelly on Amazon of all places. For £17.88. OK, so it may not be interesting, but I guess it’s great value! Well then, that’s the lot. 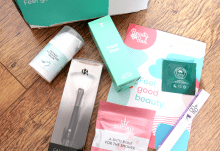 I did enjoy this month’s box, but I have to say that my primary preference is skincare. I know that it’s not the focus this month, but fortunately I’ve still got plenty of lovely skin things left from previous boxes to keep me going! I do actually like the makeup included, because it all suits me and now I don’t have to shop for mascara. I’ll be intrigued to see what they come up with next month. I like the idea of themes, and over the past four months I’ve received an excellent and very useful array of gorgeous products.